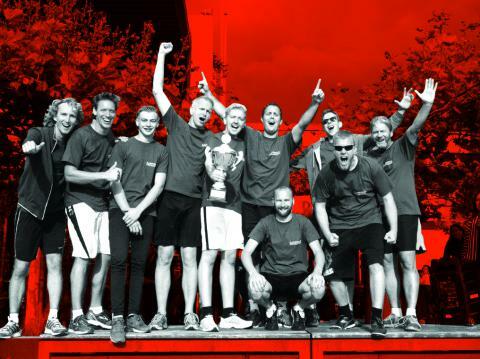 On Friday 14 September, 240 NWO colleagues demonstrated their sporting prowess during the NWO sports say at the Delft University of Technology campus. 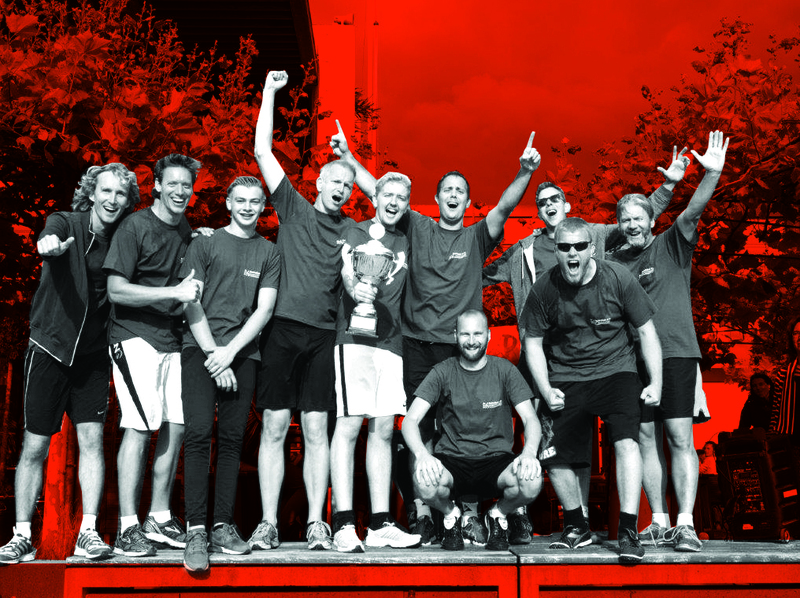 The sports day attracted employees from nearly all NWO departments and units: Finance, the Executive Board Office, NWO-I, Communication, SSH, NRO, Science, TTW and the NWO Institutes AMOLF, ARCNL, DIFFER, Nikhef, SRON and CWI. Under a fantastic autumn sun, 26 teams battled it out in dodgeball, tampon hockey, dart-tennis and even a ginormous assault course that would not be amiss in Expedition Robinson. With blood, sweat and tears the team Tricks and deception (AMOLF) won the coveted trophy. A fantastic second place went to Make F great again. The prize for best outfit went to the team Communikarate - spar with us? But the Manifolds and the Pen pushers had fantastic shirts too. Lisette Rooth from NWO Science was the best at limbo dancing. The rod hung at the impossible height of 80 cm! The physical competition was fierce, and so the first aiders had their hands full with at least five sprained ankles, six torn knee ligaments and a torn eyebrow. Besides healthy competition, we also saw a lot of connecting and the TTW and Science colleagues demonstrated true sportsmanship towards each other. And if there had been a prize for the best captain, then this would have gone to Mesut Çifçi from team NRO. Finally, a big thanks to the 12 referees, mainly colleagues, and the hard-working organisation that made such a fantastic day possible.